Utah assigns a detective to monitor Syrian refugees. 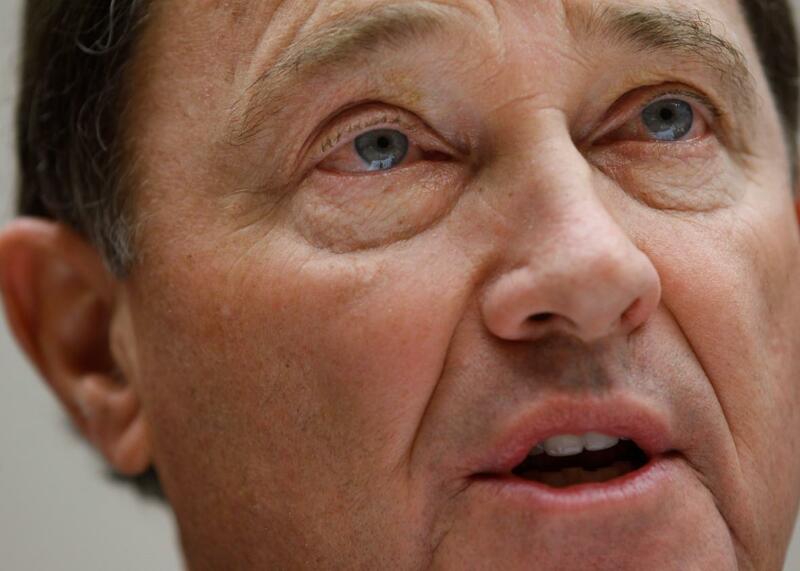 Gary Herbert of Utah was one of only eight governors, and the only Republican, to affirmatively say that his state would take in Syrian refugees following the Paris terrorist attacks. Explaining his reluctance to join the rush of governors barring refugees, Herbert rightly pointed out that, “Governors really don’t have the ability to stop refugees from coming into their states, in spite the rhetoric we hear out there.” Herbert did, however, order a reevaluation of the vetting process for Syrian refugees entering Utah, and this week the state made clear it isn’t about to just let these refugees roam around unsupervised. Utah is assigning a police detective to oversee the refugees. The detective’s responsibilities will include both helping the refugees navigate their new home—explaining processes like how to get a driver’s license—and monitoring them for signs of radicalization. “We know that ISIS is very effective right now at using social media and being able to reach out to individuals and try to convince them, ‘If you can’t come and join us in the jihad, to go and act where you’re at,’ ” Utah Public Safety Commissioner Keith Squires said. He also said that a positive interaction with law enforcement could decrease the chance that these refugees would become radicalized. Utah is home to about 60,000 refugees and takes in about 1,100 per year, in recent years predominantly from Somalia, Iraq, Sudan, and Myanmar. Only 12 Syrians refugees have settled in Utah so far, but the state expects to take in a few hundred more in the next few months. Herbert notes that “Utahns are well known for our compassion for those who are fleeing the violence in their homeland.” And given what other states are doing, Utah’s still ahead of the curve. But assigning a detective to keep an eye on this population, even a friendly one, suggests Utahns and their government still have some suspicions about the new arrivals.